This book is designed for parents and teachers to teach children to recognise commonly found barriers to learning. Additionally, children can learn about these barriers themselves as the pictorial representation and simple English are a perfect gradient for easy learning. 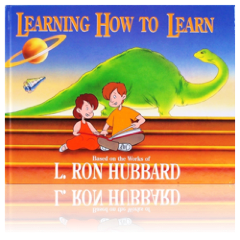 This book also gives practical knowledge to overcoming these barriers. The end result is children who love to learn and can use what they’ve learned. This book is designed to help students understand and apply any subject. The result is a student who can think for themselves and develop a love for learning. Learning is a process of knowing how to learn and the information in this book delineates the primary barriers to study and the remedy for each one. Without the ability to learn, the goals that students have set for themselves are blocked. This book helps students achieve their goals in life through learning about this technology. This book addresses the underlying reasons for academic failures. It is vital to adults, college students and trainers in today’s competitive workplace. Their future success depends on their ability to learn and apply. 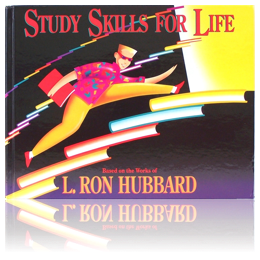 This book gives the skills needed to open the door to learning and life. The materials in this book delineate the primary barriers to learning and how to overcome them with practical application, procedures and methods. 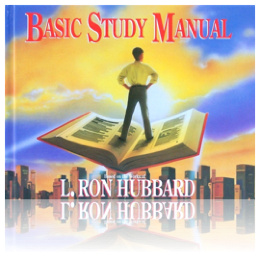 This is the fundamental breakthrough to study and how to learn effectively. The use of a dictionary is an almost universally overlooked fundamental in learning, but its full use is priceless. Students are frequently blocked in school by confusions in understanding words, and these confusions can be cleared up by using a dictionary. 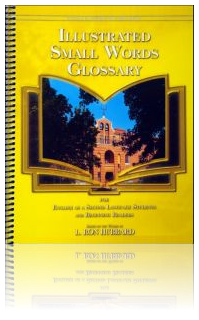 This unique book provides the missing link within education - the understanding of terms, symbols and abbreviations contained in dictionaries. 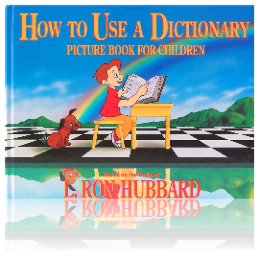 Explained in picture and word form, this book shows a student how to use a dictionary and provides a tool for comprehension and the means to a powerful vocabulary. This book presents grammar in a logical, step-by-step sequence. It helps students to understand the basic building blocks of the English language and how to use those building blocks to better communicate, express their thoughts and understand what they read. 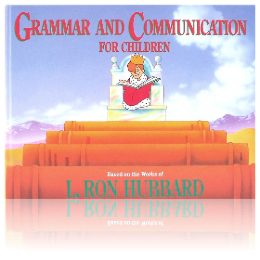 This book enables students to learn grammar, not as an arduous set of classroom rules, but as something for use in conveying their thoughts through language. Main topics covered: Parts of speech (noun, pronoun, adjective, verb, etc. ), punctuation, sentence structure, letter writing structure, homonyms and how spoken and written communication began. The Small Words Glossary is presented as an introduction to the often used and frequently misunderstood small words of the English language. Not knowing the meaning of these simple words can block one’s understanding of a subject. The Grammar Words Glossary is presented as an introduction to the very basic English language grammar terminology. It presents grammar terms in an easy to understand format and includes illustrated examples. 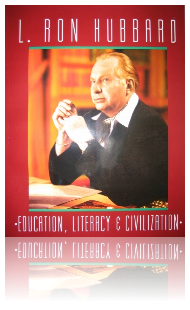 Not only does this book examine L. Ron Hubbard's philosophy of education, but it provides the means to effectively educate oneself and others with articles explaining and delineating Mr Hubbard's Study Technology. Includes never before published articles by Mr Hubbard. 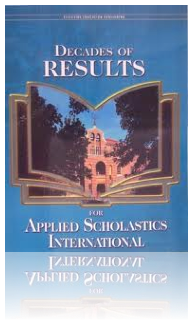 This book is a comprehensive overview of the many successes achieved by Applied Scholastics organisations worldwide. It covers the history of how the first Applied Scholastics Centre was formed and statistics from major successful Centres spanning the globe. Also in this publication are an array of results, endorsements and testimonials that demonstrate the applicability of the Study Technology in a variety of educational settings and show the potential of Mr Hubbard’s learning technology.